Virtual Man is back with the longest title for an image to date, the “2256GB VIRTUALMAN! Xi-4.4.3 PLATINUM OLD-SCHOOL AMP’D EDITION RETROPIE+ES ** (Pi3B and Pi3B+ Ready! )” , this is an updated image from his previous 128gb Gold Old School Edition Pi Image, and contains some fixes as well as lots more added content, there was an image released just a few days ago, but in true Virtualman style he nuked it and dropped a perfected image (hats off!). (THIS is NORMAL) as it’s AUTO expanding drive behind the scenes (GIVE IT AT LEAST 1-3 MINUTES TURN IT OFF/THEN REBOOT) AND ALL WILL BE OPERATIONAL!) After rebooting your pi (WILL TAKE A FEW MINUTES TO RESIZE AND ITS DONE) BEFORE it gets into ES. Then it will be normal boot next time. NOTE: IF YOU KILL IT it wont expand and you ll get errors that you have 0KB space and wont save any settings you do afterwards and will give you errors in any emulator. – Arcade can take a little longer to load (It needs time to load pre-defined cfg and bezel) but works perfect besides that. – Arcade only FPAlpha2012: Worst case scenario if you come across Arcade game that it overlaps the bezel , just press X+Start > Video> Aspect Ratio and set it to Core vs. 1:1 PAL and save Game override only! – N64: as you all know not all will load (some won’t load at all and some requires press A to tweak emulator to load etc…). – N64: I want to leave this library with you to tweak so one day emulators (software and hardware) will get better overtime to hopefully run these n64 games. You can delete as you see fit. – Dreamcast: All games I have tested in this build and works (some you will need to bypass menus to get to gameplay) I want to leave this library for future hardware with more specs, but OC might help. – Playstation 1: 96% of the games play perfectly (may have occasional stutter) I want to leave this library for future hardware with more specs, but OC might help. – Handheld console bezels/overlays: As you all know this image was tailored for 1080p (progressive scan) TV’s – if you have lower rez tv you have to alter retroarch bezels/overlay configs accordingly to your screen (Press X+Select and make your way to Overlays). – 4K TV’s: You may have to switch picture mode 16:9 to “fit to screen/auto” depending on your tv model. – Attractmode removed, limited/complex configuration and difficult to support. – It’s been reported that you may have to delete .dat files for some daphne ex: lair.daphne/*.dat and it should load game afterwards. **CD CONTENT FOCUS** 30 Systems: Total 12767 games, 1750 ARCADE, 235 PSX, 300 N64, 55 SEGACD, 30 DREAMCAST, 11 Daphne, 40 TurboGrafx-CD, 100 Scummvm and all top portable/console/arcade/pc systems. – Brand new dedicated ES collection theme “Arcade Old School” – Thank you @DwayneHurst for the great work! 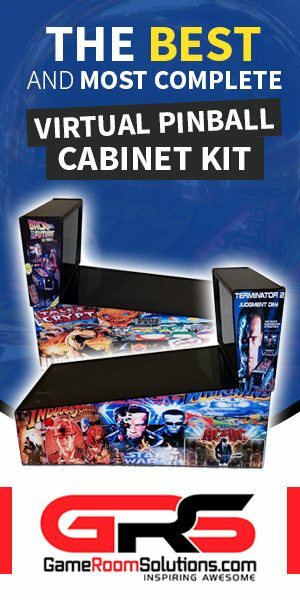 – 100% Pre-installed ARCADE BEZEL PROJECT Enable, configured and tweaked with proper emulator and BP bezel applied when applicable. – Combined Residualvm into Scummvm so it’s seamless and can select emulator. – Added some preferred pre-loaded 3 of my fav themes. All support old-school & other collections. – Replace several romset/gamelist.xml/artwork with No Intro collection! – Retroarch for all systems not saving on exit and enable/disable auto save/load state should work now. – asplashscreen.sh changed -o both to -o also to fix audio volume for GPIO pins. 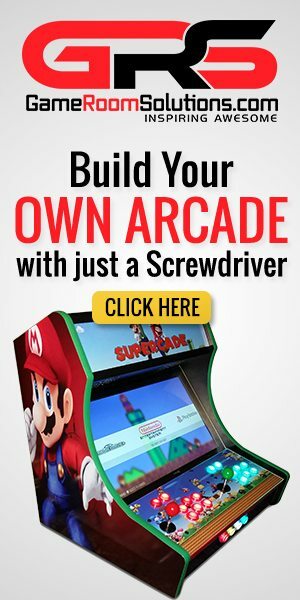 – Tons of small minor Arcade(emulators.cfg) modified and please share if you have any tweaks for any other games. – Hidden with so many GEMS games you have never played before and will enjoy the sense of discovery! 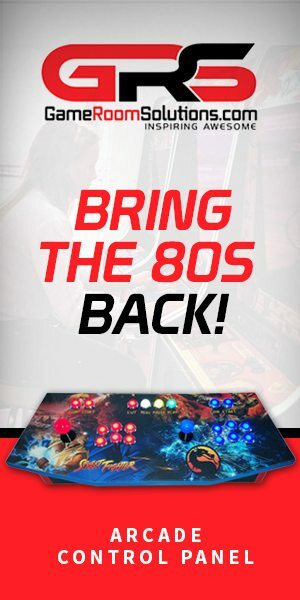 – Custom ES Themes that supports VMAN very own Arcade Old School custom collection! – All ROMS gone through and have at a minimum artwork (mixart, wheel and video snap). X+SELECT will work only on few games, but you can easily quite from in game menu and it will take you back to ES. keyboard F12 for GUI or if custom control activated is home button or X+Start. However I found a bug and setting does not persist (won’t saved)! Port Quake won’t load: For some reason 4.4.3 removed the core emulator “tyrquake” simply install it and your good to go. >retropie setup>manage packages >optional packages > tyrquake And install from binary. Nintendo Rom Lawsuit Settles For Millions Against LoveRoms!